Getting rid of mice after they’ve infested your home can be a difficult task; especially if you haven’t done such a thing before. There are a lot of questions homeowners have about mice removal and all of them are valid. After all, most of these people are just regular folks that don’t know anything about mice or how to get rid of them. Unfortunately, you can’t exactly choose whether or not the rodents will attack your home. Here are a couple of the most commonly asked questions and answers regarding mice and proven ways to get rid of mice fast. How to Prevent a Mice Infestation? You can maximize your chances of evading a mice infestation by using peppermint oil or other strong-scented things (such as onions). Place a couple of cotton balls that were dipped in the peppermint oil around your home and entry points (doors and windows). Is One Mouse a Problem? Yes! Mice reproduce very quickly and more times than not, one mouse means that there are many more in your home. Act as soon as you see a mouse in your home - time is of the essence here! What is the Best Mouse Trap? There is no concrete answer related to this question because it all depends on the situation and your choice. If you’re okay with getting rid of mice, then you can use every type of trap. Otherwise, take a look at catch & release traps as they only trap the animal without harming it. Are Mice and Rats the Same? 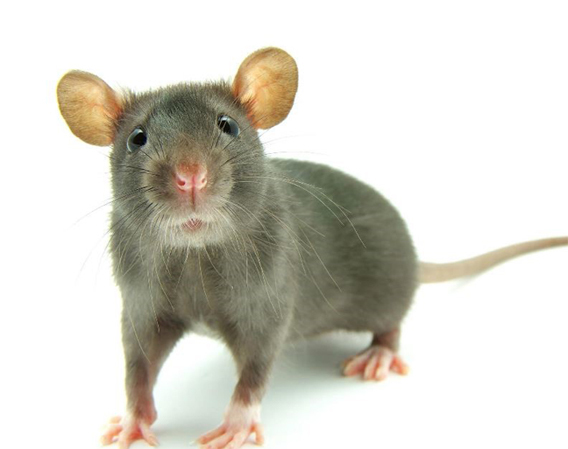 There are a couple of key differences regarding mice and rats. Mice are smaller and more nimble, but rats are smarter and may even avoid your traps. Rats are tougher to get rid of, but mice come in larger numbers! Are Cats a Good Method of Keeping Mice Away? Cats can help you get rid of mice and/or keep them away, but don’t just get yourself a cat solely for this purpose. Cats are pets and require love and care. Always remember that the cat is first a pet, then a way to keep mice away. It all depends on your situation. Poison is generally not chosen as a means to get rid of a rodent infestation because it’s dangerous to humans as well, but if you keep the situation under control (and empty the house during the extermination), you should be fine. Be careful! You should always use a combination of different trap types and proper bait if you want to maximize your chances of getting rid of them quickly. Peanut butter is your best bet at luring the rodents into your traps, but there are commercial versions of bait available as well. Why Are Mice Considered Dangerous? Not only do they transmit and carry dangerous diseases, they can also cause a fire and destroy your home. Mice (as well as other rodents) love chewing on things and they will chew through your wires and wood with ease. Diseases are another issue: They can carry the Plague, Hantavirus, Salmonellosis, and many others. You don’t need too many, but don’t take too little either. Around 6 snap traps should be enough, followed by a couple of other trap types too (catch & release, electronic traps, glue traps, etc.). Don’t overdo it as the mice will avoid the traps altogether! Should I Hire the Exterminators? If there’s nothing else you can do, then yes. Exterminators will completely get rid of your problem with relative speed and ease, but they’re expensive. Only opt for this choice if you’ve tried everything else with no avail. How Can I Avoid a Mouse Infestation? Additionally, you should keep hygiene levels at a constant high. That means that you’ll have to clean up every single crumb behind you, keep food in closed containers, and generally don’t leave anything dirty. Get rid of your trash often as well! Mice love to eat anything that they can get their hands on. However, most of their diet consists of grains and seeds, but if an opportunity for free food, shelter, and water arises, they won’t hesitate!